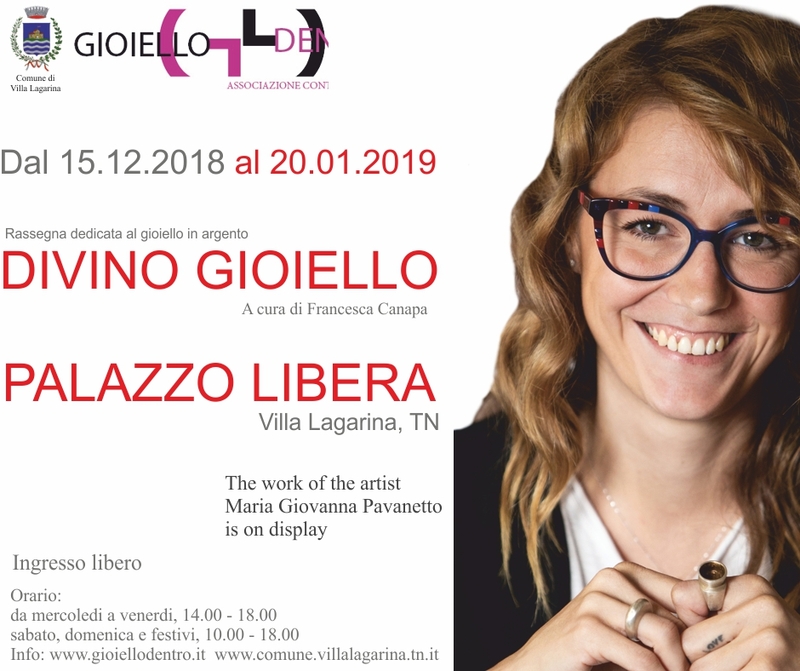 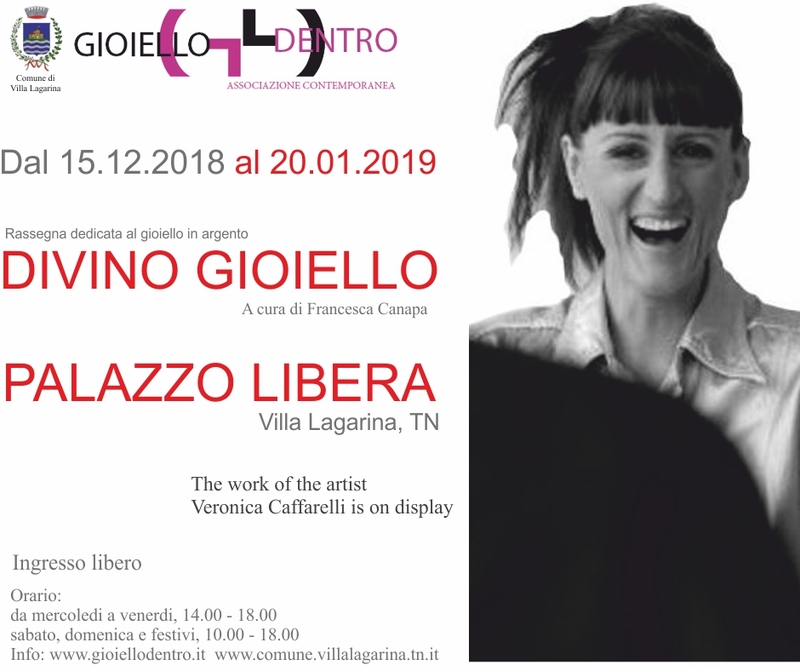 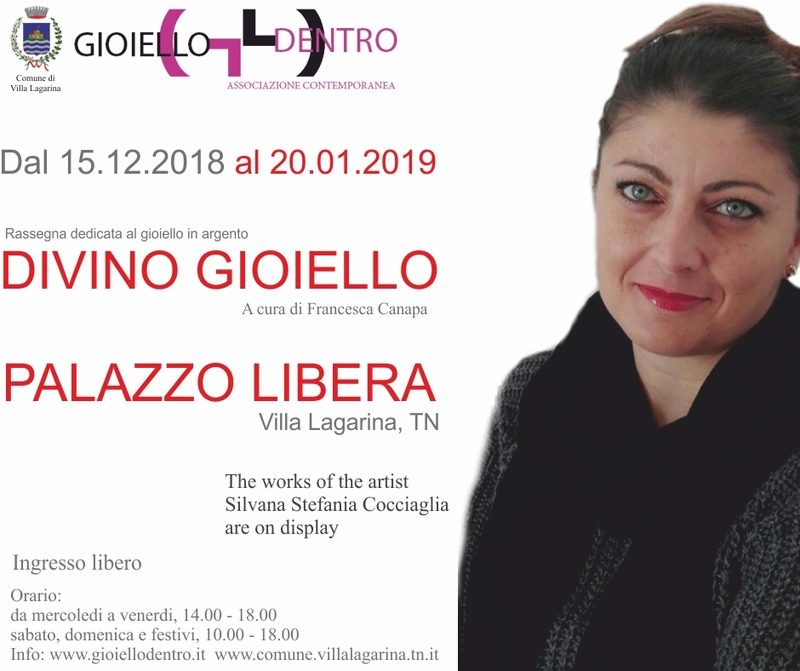 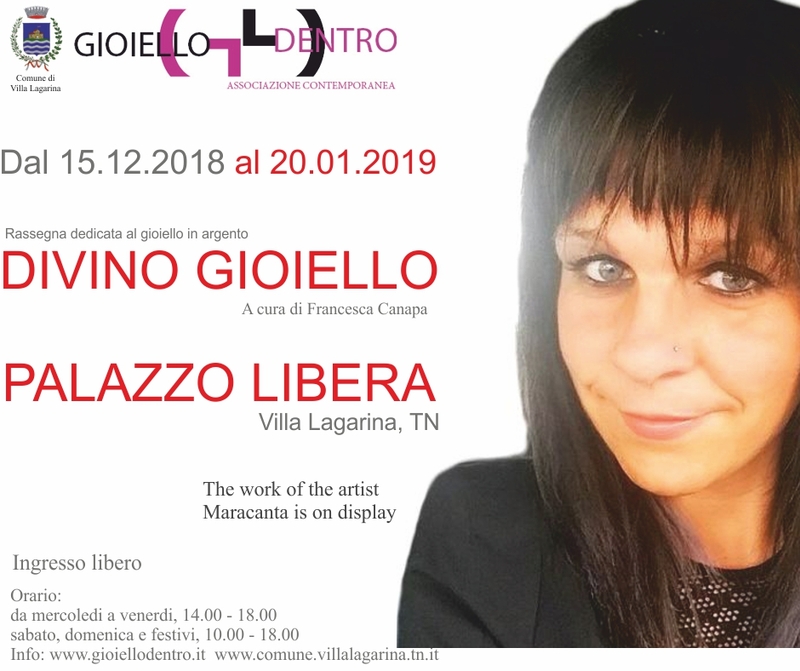 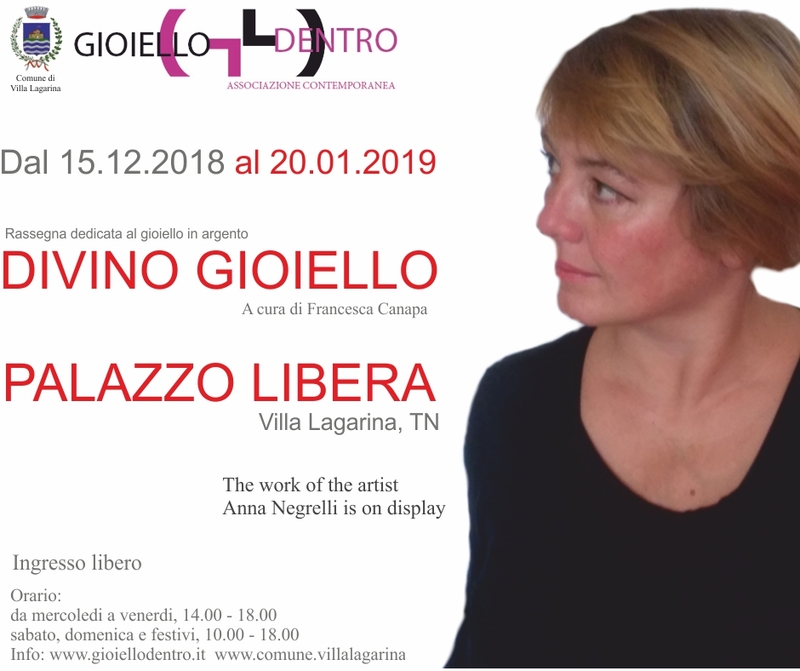 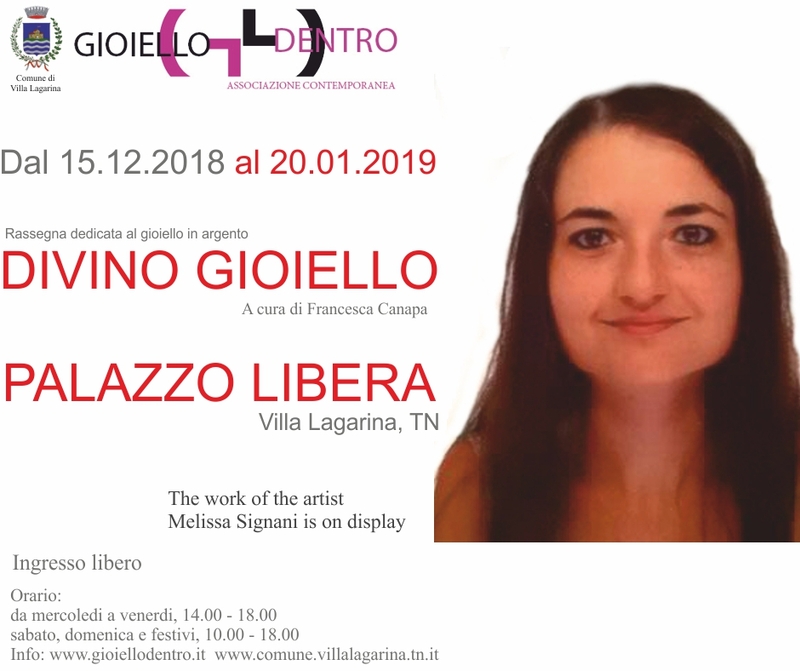 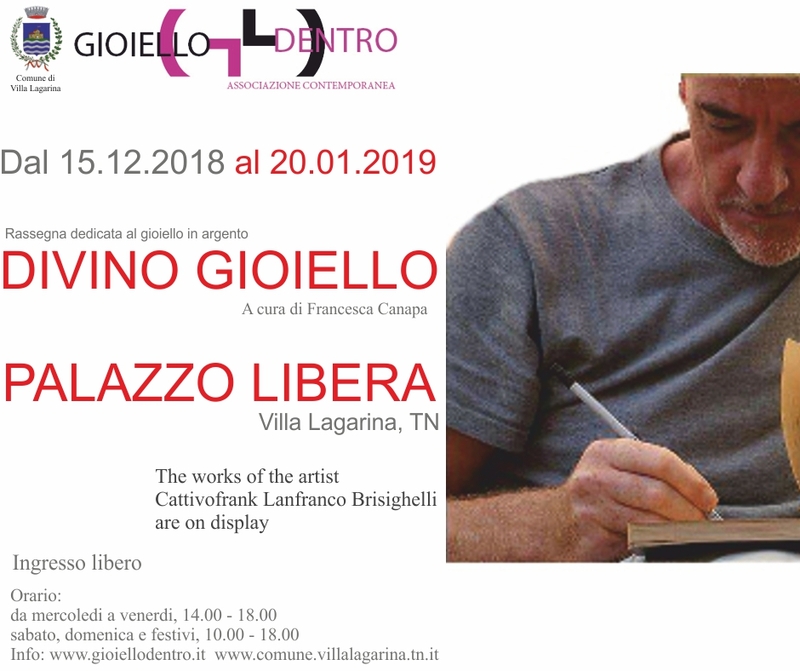 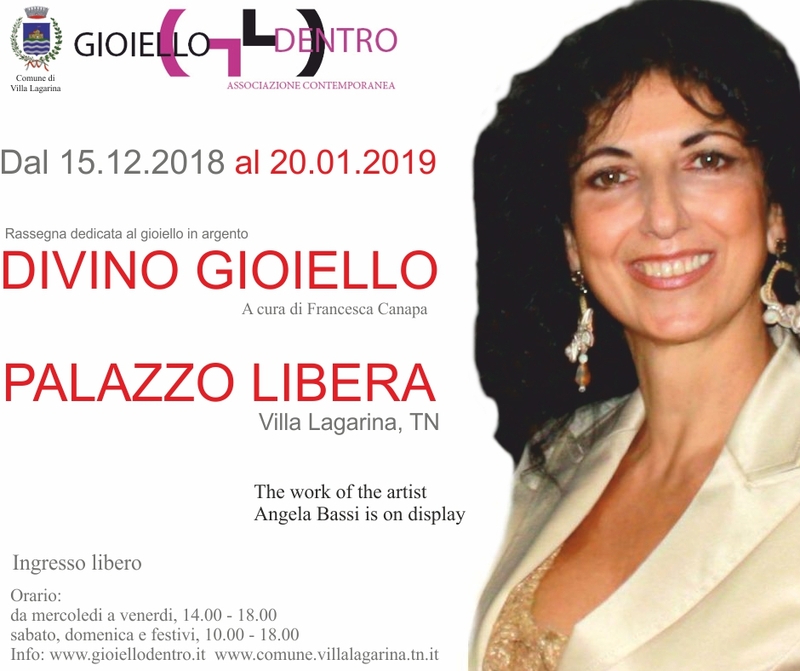 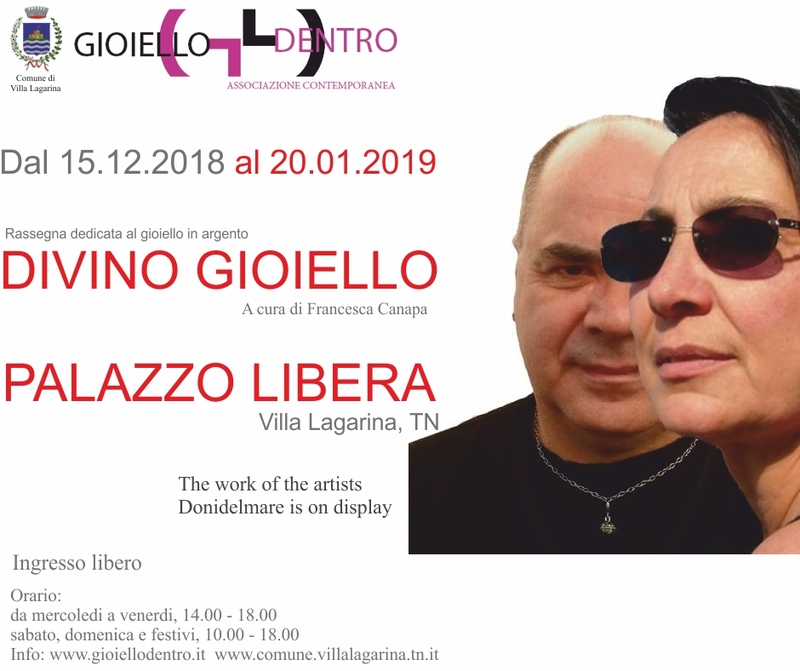 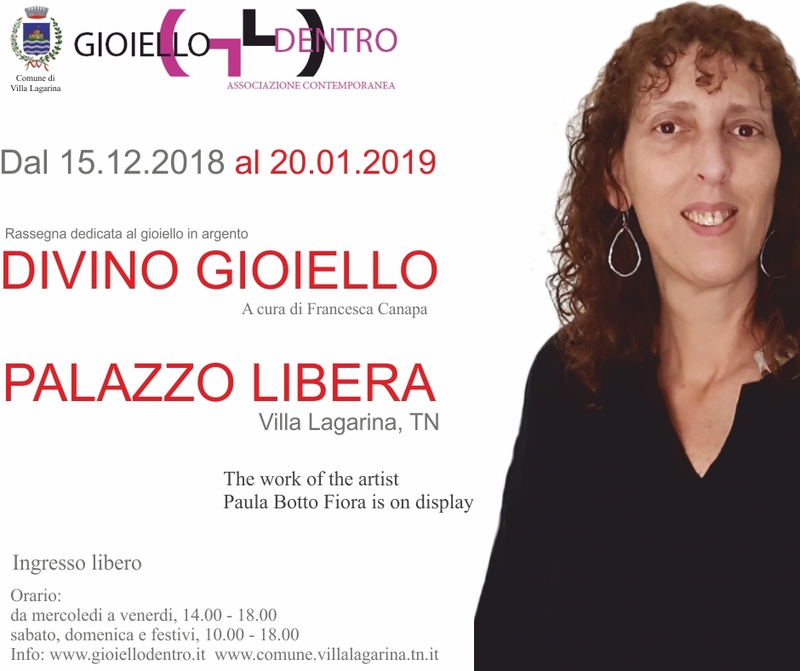 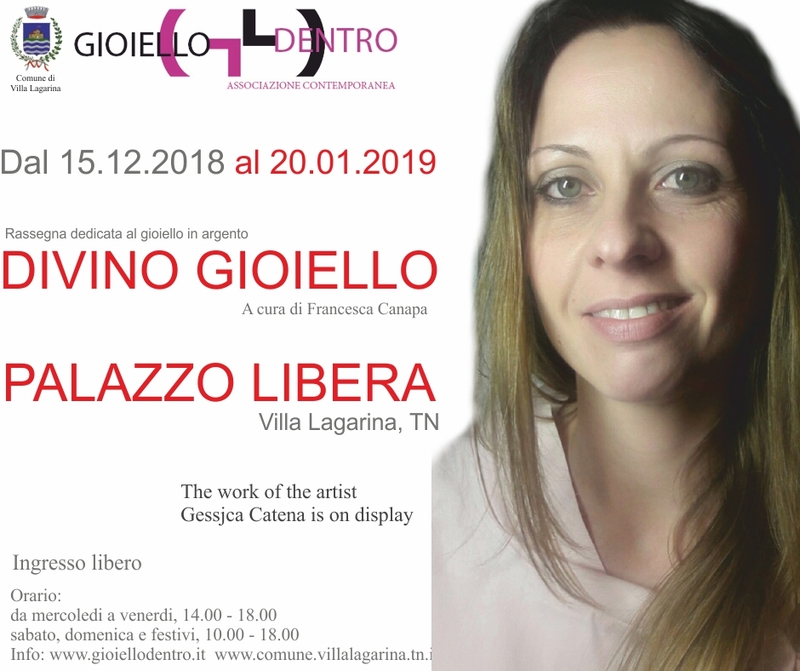 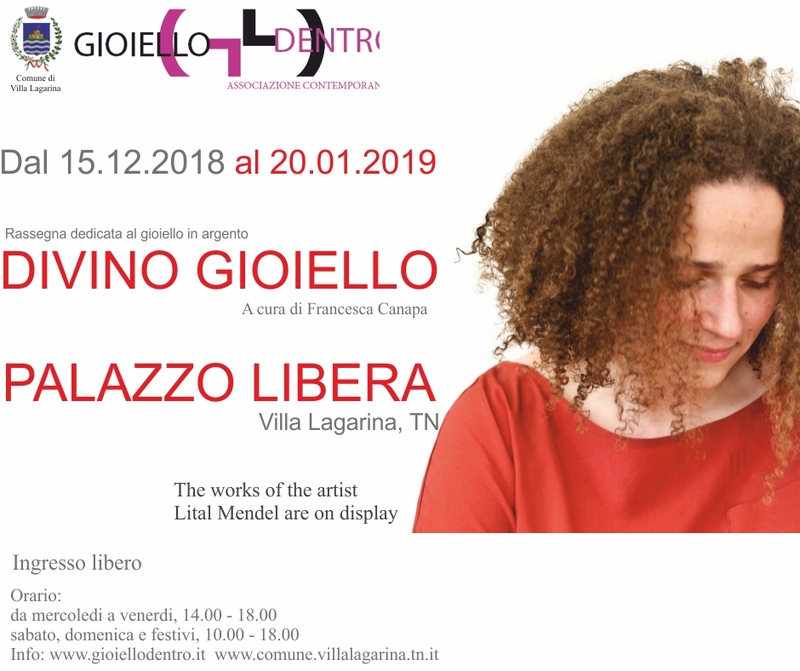 The Contemporary Jewelery Association in collaboration with the Municipality of Villa Lagarina, Department of Culture, present the Divino Gioiello Review, dedicated to the jewel in silver. 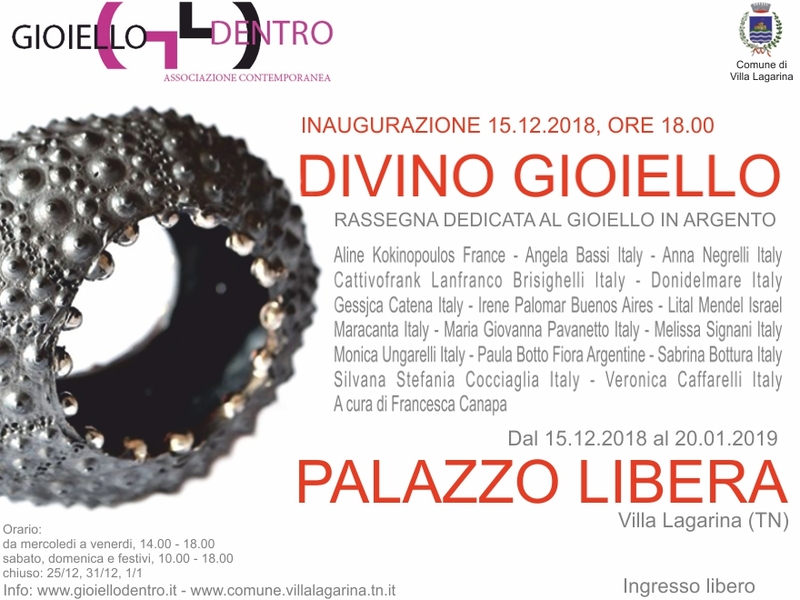 The passion for silver jewelry gave birth to the idea to Curatrice, to create a review dedicated to this precious metal and its processing techniques, the Designer Sabrina Bottura shared the idea by proposing Palazzo Libera as the exhibition venue of the Review . 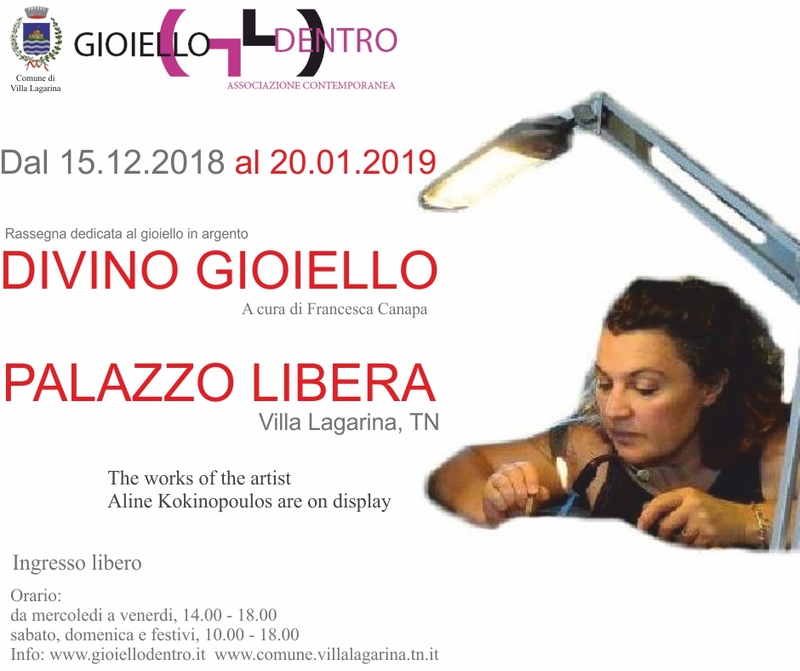 Our goal is to place the exhibition as an annual and exclusive showcase for the presentation of jewelry made of silver. 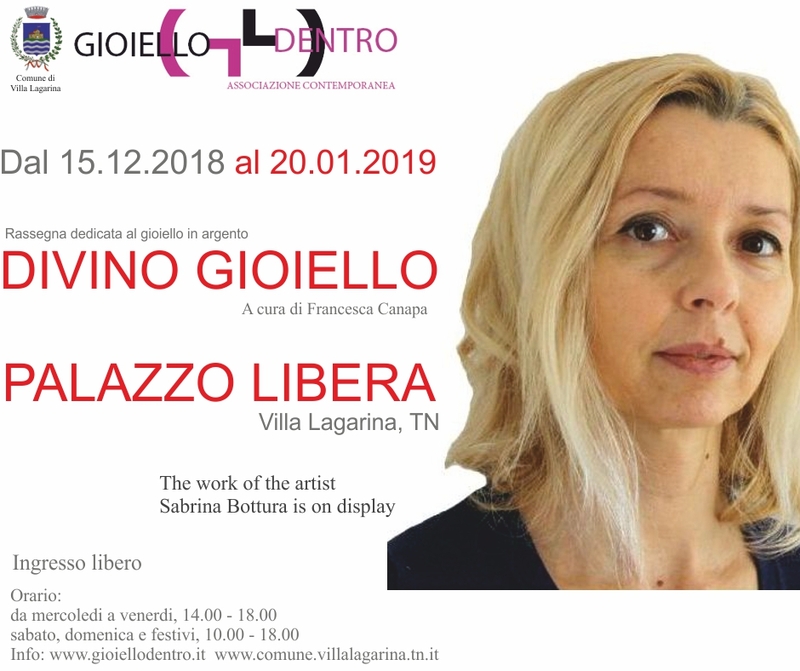 Palazzo Libera was built in the mid-seventeenth century by Don Antonio archpriest of Villa Lagarina. 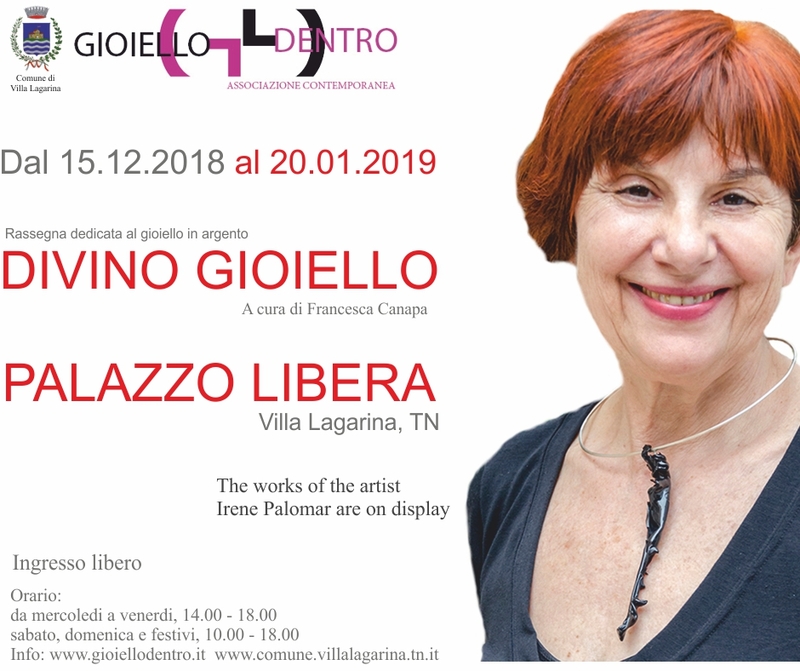 It is used as the site of a section of the Tridentine Diocesan Museum, and exhibitions of contemporary artists are carried out in the interior rooms. 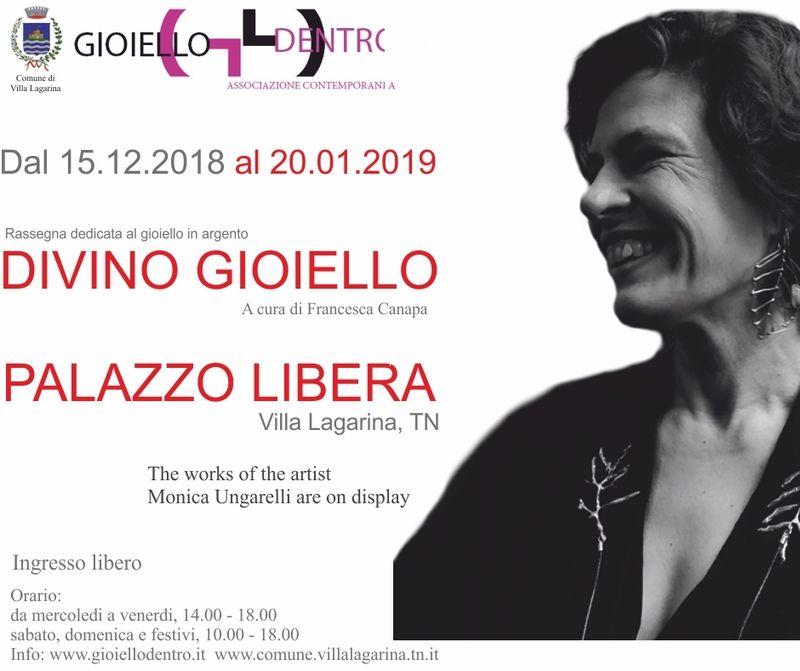 One room is dedicated to the figure of the architect Adalberto Libera, and in the garden is the large sculpture entitled La Madre.